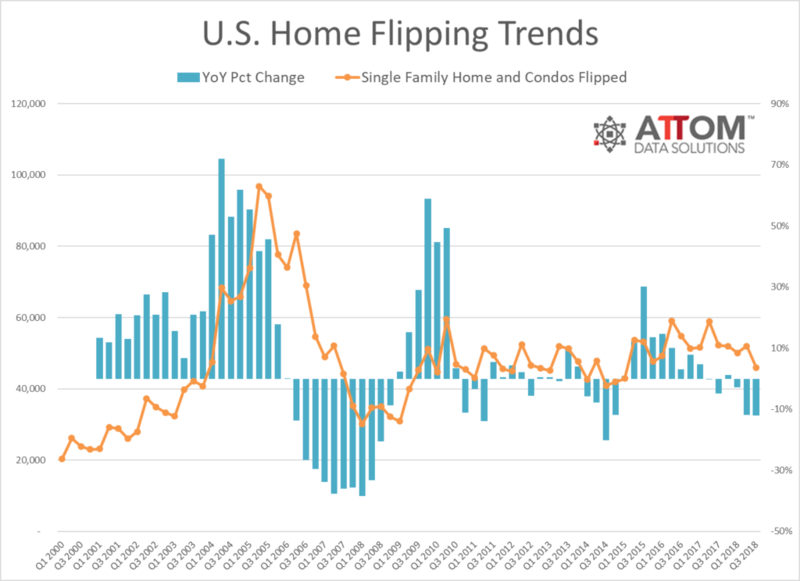 Home flipping activity hit a 3.5-year low during the third quarter, according to new statistics from ATTOM Data Solutions. During the third quarter, a total of 45,901 single-family homes and condos were flipped, down 12 percent from a year ago to the lowest level since the first quarter of 2015. The flipped properties accounted for five percent of all single-family home and condo sales during the third quarter, down from a 5.2 percent home flipping rate in the previous quarter and down from a 5.1 percent home flipping rate one year earlier. This marked the lowest level recorded since the third quarter of 2016. Homes flipped in third quarter sold for an average of $63,000 more than what the home flipper paid for them, down from an average gross flipping profit of $65,000 a year ago. This marked the lowest level recorded since the second quarter of 2016. The average gross flipping profit in the third quarter was $63,000, an average 42.6 percent gross flipping return on investment, down from an average 44.1 percent in the previous quarter and down from an average 48.1 percent one year earlier. This was the lowest level recorded since the first quarter of 2012—a 6.5-year low. 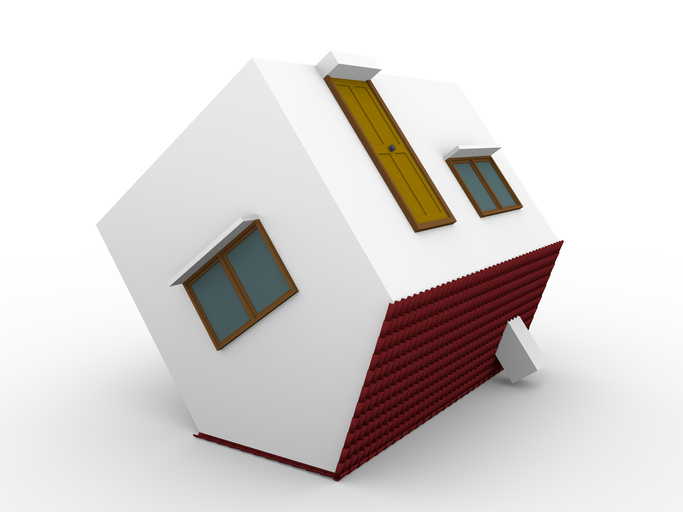 Arizona had the highest third quarter home flipping rate among the states (7.7 percent), followed by Tennessee (7.5 percent), Nevada (7.2 percent), Alabama (6.6 percent), and Maryland (six percent). Among 133 major metropolitan areas with at least 50 flips in the third quarter, Memphis had the highest rate at 10.4 percent, followed by Atlantic City at 9.1 percent.